When I came across this “low-end” printer at Wal-Mart I had my doubts. But I looked at a demo at another big box electronics store and was impressed. I decided to compare the Deskjet D1660 with 5 low-end basic printers from 3 other companies. What I found it is somewhat surprising. This sleek black small printer is very efficient for the average person. The average user who is not using this for a business or some other high use purpose will find this model just fine. It prints about 10 pages per minute and uses less ink than most of the other printers included in the review. 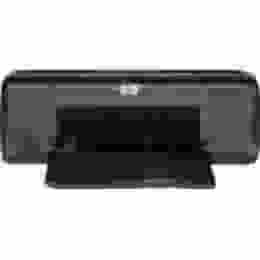 If you are on a budget, I highly urge you to take the time and read about this HP printer.